One size fits all wont work for people who are experimenters, who try a new journal each time they fill the old one, explorers always on the look out for something different, the librarians who have a couple of books going at a time. The Adjustable Bandolier is for them. You can fit a variety of sizes, or strap a couple books together. 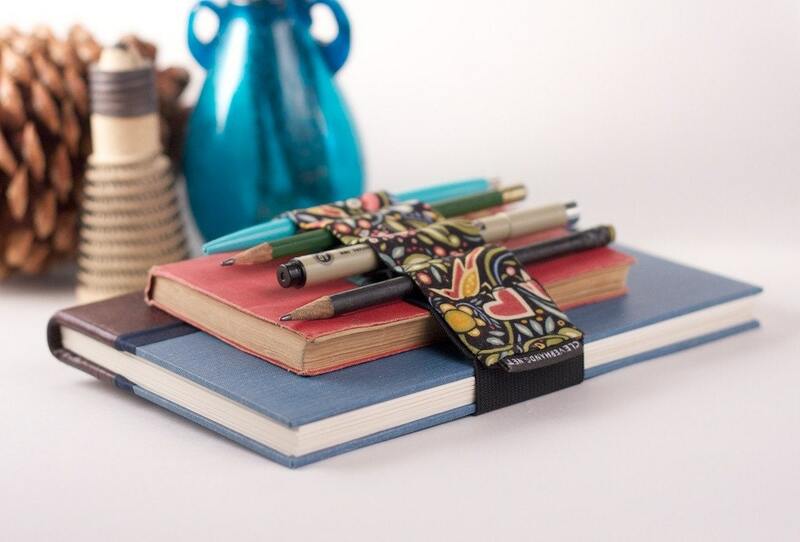 Keep your pens and pencils with you when and where you need them. Travel light, draw often.